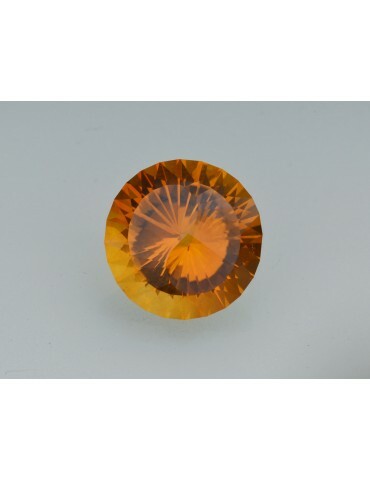 Notes: This is a beautiful slightly yellowish orange citrine The beautiful stone is cut into a Yin and Yang design. 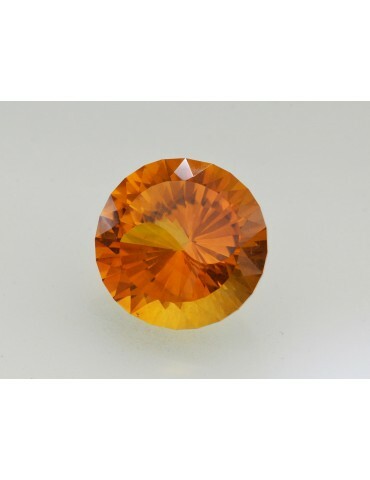 This stone has a lot of flash for sure and with this many facets it is bound too. 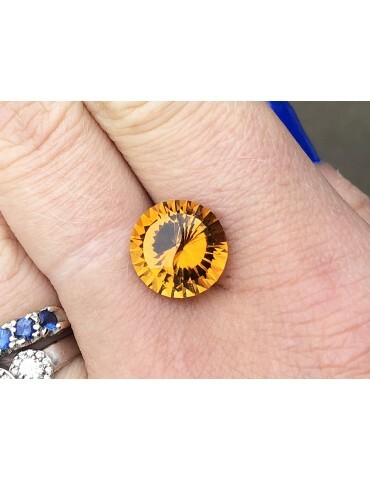 This is a truly one of a kind custom stone. This stone's tone is medium with wonderful brilliance.